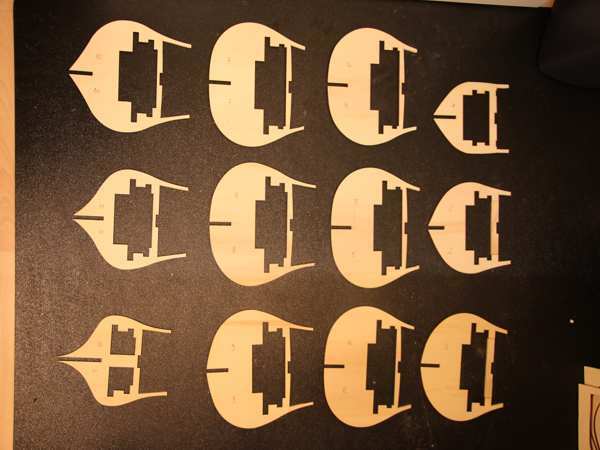 As you can see in the picture I was busy in the last days preparing the kits plywood parts for assembly. 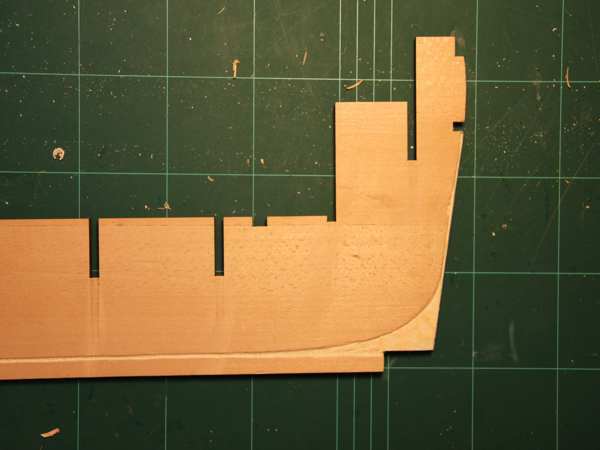 As mentioned in the last post I do not like the stern part of the kit so it was cut from the keel,and a rabbet was cut according to the plans in McKay’s Books. The form at the stem is also not as shown in McKay’s plans and was modified. I cut away a bit an the upper edge. The the kits gammoning holes were closed with wood filler and some new ones were drilled at the correct place together with some other holes for the rigging. The rabbet line was again cut in accordance with McKay’s drawings. The upper gun deck of the kit is only detailed at the waist but I wanted to open it over the complete length of the ship. That meant to modify the bulkheads and cut away some wood. 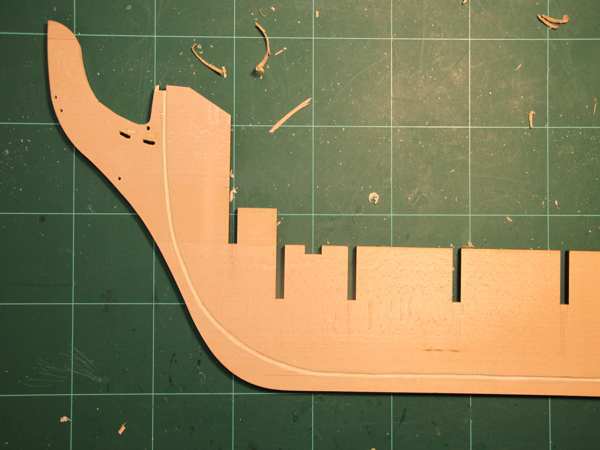 Later even more parts will be cut because the flow of the kits upper gun deck in the aft half of the ship ist not correct and new deck clamps will be made at the correct height. 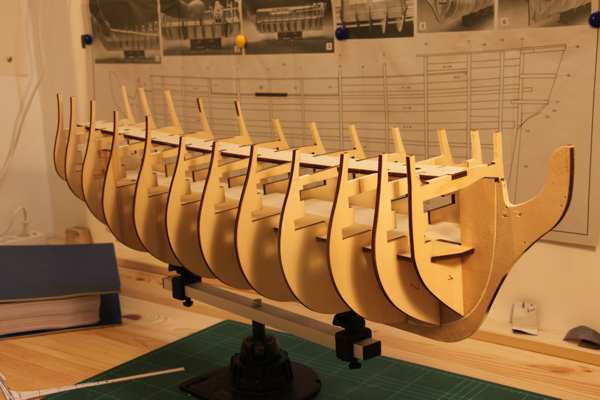 Here you can see the bulkheads glued to the keel. You may notice that I did not use those wood strips of the kit to attach the fake gun barrels of the middle and lower gun deck. I wanted to make the gunports look more real and therefore will later use a method described in the great HMS Victory Practicum by Robert Hunt (see links). Can you see the thick, blue folder at the left? That is the printout of that practicum – double sided! If you plan to build the Panart or Sergal Victory be sure to get it – you will never find anything that is so full packed of ideas!